This project is for the sophomores, below is an example. 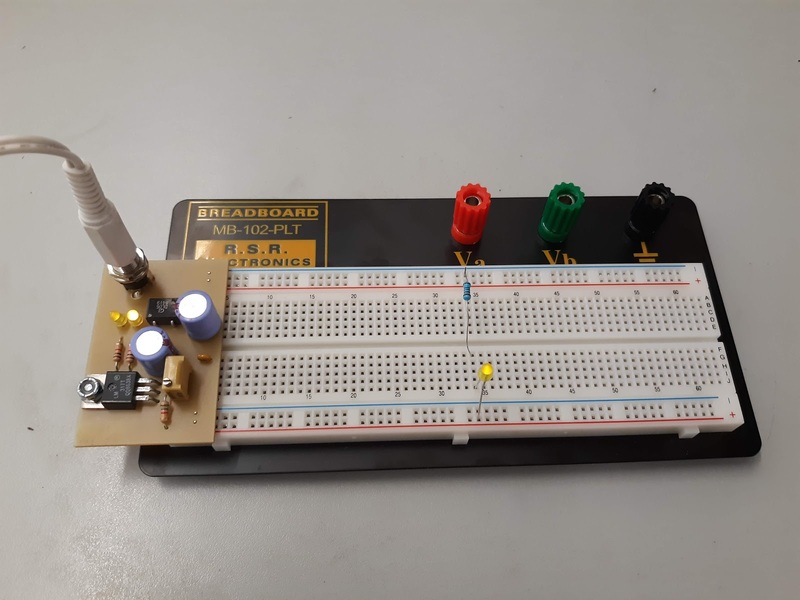 Here is a very simple breadboard power supply kit that takes power from a DC wall wart and outputs a selectable 1.2 to 12 Volts regulated voltage. The .1" headers are mounted on the bottom of the PCB for simple insertion into a breadboard. Pins labeled VCC and GND plug directly into the power lines. There are two pins available within the barrel jack footprint. Any stripped +/- DC supply can be connected instead of the barrel connector.